A Decentralized Dance Party is an open source dance party in which the music is transmitted to nearby boomboxes via a small FM transmitter (video). The concept was created by Canadian party enthusiasts Tom and Gary. 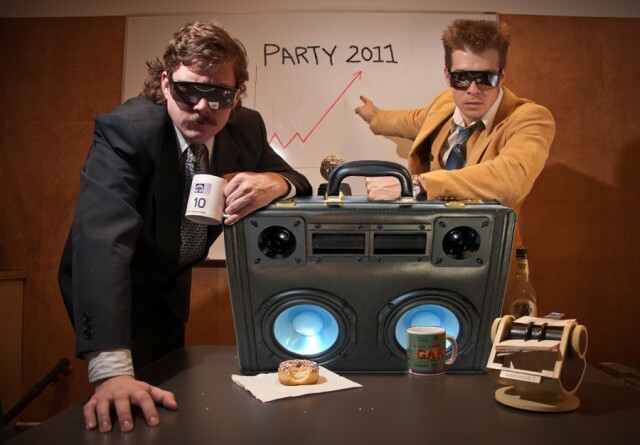 The duo will be holding decentralized dance parties throughout the US during their upcoming tour Party Safari 2011: Strictly Business USA. They’re funding individual tour stops on Kickstarter. We are Tom and Gary, two lifelong friends who love to Party. And we believe that Partying is the most misunderestimated artistic medium in existence. 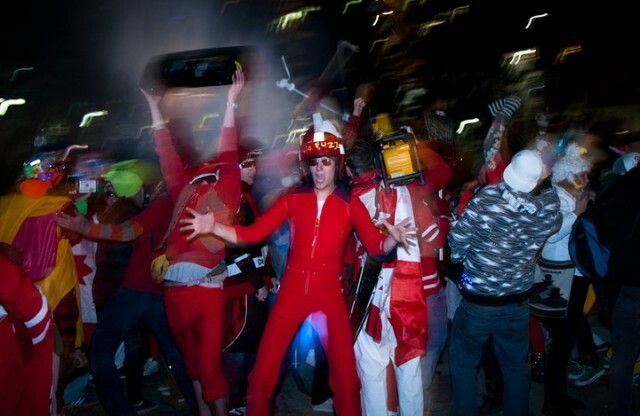 Accordingly, we created Tom and Gary’s Decentralized Dance Party aka The Party Revolution. Our goal is to further the frontiers of Partying, bring joy to millions of people and ensure that Partying is respected, legitimized, and forever enshrined as a spiritual movement of paramount importance.